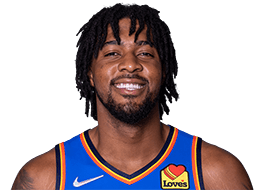 Full name is Derrick Bernard Favors ... Son of Deandra Favors ... Has an older sister, Tiffany, and a younger brother, Brandon ... Has twin daughters ... Owns a 7-4 wingspan and 9-2 standing reach ... Ambassador for the Ronald McDonald House Charities of the Intermountain Area to help raise awareness, garner volunteer support and spearhead fundraising ... Hosted a back to school party for 25 youth from the Boys & Girls Clubs of Greater Salt Lake in the summer of 2015 ... In the summer of 2012, took part in the annual Jr. Jazz trip, spending a week on the road holding basketball clinics across four states ... Hosted a back-to-school clinic for community youth in order to promote education and physical fitness in two consecutive summers (2014, 2015) ... Started playing basketball at the age of 10 after watching Kobe Bryant play a game ... Enjoys playing table tennis and air hockey ... Follow him on twitter at @dfavors14.